Benjen Stark's fate in Game of Thrones: Dead? Alive? Coldhands? 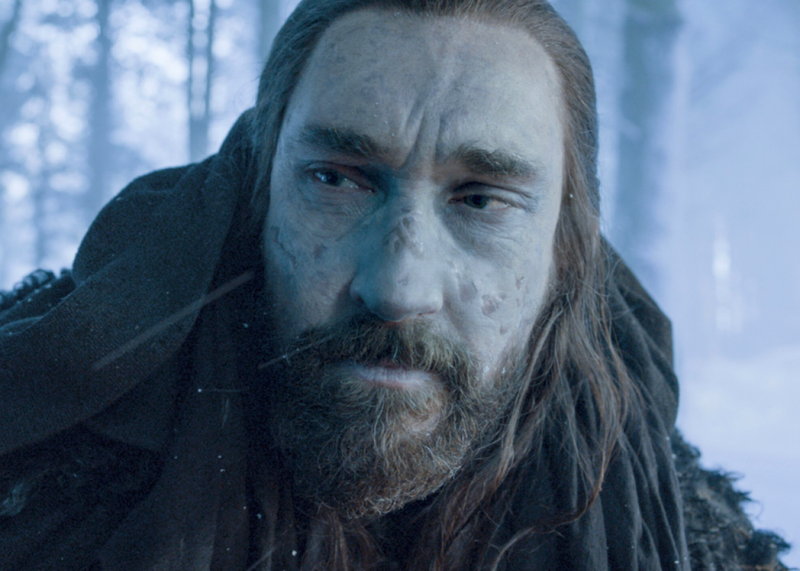 After all these years, Benjen’s back! But he’s not just Benjen Stark anymore—he’s now Coldhands, a mysterious character in the books, as confirmed by showrunners David Benioff and Dan Weiss. For fans who only watch the show, the distinction might be meaningless. But for readers of the books, this flies in the face of what we’d previously been told by none other than author George R.R. Martin. What are we supposed to believe? Let’s backtrack a bit. For those who might be scratching their heads about the reappearance of this latest Stark family member, Benjen is the youngest brother of Ned Stark—the two shared an older brother in Brandon and a sister in Lyanna (whom we met in the Winterfell flashbacks). For reasons unknown just yet, Benjen joined the Night’s Watch and became First Ranger. It’s because of Benjen that Jon Snow thought it would be an honorable calling—he wanted to be like his Uncle Benjen. But soon after Jon made his trek to the Wall, Benjen went out on an expedition to search for the men who disappeared in the very first scene of the series. Then Benjen disappeared, too—only to have his horse return without him and his two companions’ dead bodies later surface and reanimate as wights. This led to theories that perhaps Benjen suffered a similar fate. In the books, we got slightly more information about his whereabouts—when the Night’s Watch sent out rangers in search of Benjen, they found a few blazes in the trees that Benjen had left to mark his way. But the marks stopped abruptly in the stony highlands to the northwest, and all trace of him vanished. Then, later on in the books, a character allied with the Three-Eyed Raven, wearing black like a member of the Night’s Watch, emerges to help Sam Tarly and Team Bran north of the Wall. He seems both dead and not-dead, as pale as a wight but without the trademark blue eyes. He doesn’t seem to sleep. He doesn’t eat. And he can speak, which wights don’t seem to be able to. (“They don’t have tongues, or they’ve forgotten how to use them.”) Coldhands, as he’s known, obscures his face with a hooded cloak and a black woolen scarf, which muffles his voice, but he explains his appearance thusly: “Once the heart has ceased to beat, a man’s blood runs down into his extremities, where it thickens and congeals. His hands and feet swell up and turn as black as pudding. The rest of him becomes as white as milk.” Sam gives him the name of Coldhands, but people started wondering if he could really be an undead Benjen: not quite a wight, not quite a White Walker, but not quite human anymore, either. Unlike most fan theories, however, this one seemed to have been debunked. Martin’s editor Anne Groell wrote a note in his manuscript, asking, “Is this Benjen? I think it’s Benjen,” and the author responded in the margins, “No.” Seemed to be pretty straightforward—unlike the vague, tantalizing answers that Martin usually gives readers when they pose theories (such as “Keep reading!”), this was an internal matter, and why offer misdirection to his own editor? The matter was settled. Until Sunday night’s episode, that is. While there have been some changes in the adaptation—Coldhands helped Bran get to the cave in the books; here, he’s helping Bran go in the other direction—it’s no longer a mystery, at least in the show, what happened to Benjen Stark. He was stabbed in the gut with a sword of ice by a White Walker, and the Children of the Forest intervened, shoving another handy blade of obsidian in his chest to prevent the magic from taking hold. (Someday, we need an obsidian blade 101 tutorial—how it can turn you into a White Walker, prevent you from becoming a wight, and kill a White Walker, all in one. Is there anything it can’t do?) He’s been working with the Children and the Three-Eyed Raven for some time, although they neglected to mention that during that year or so Bran spent in the cave. And so now we wait to learn more. Did Coldhands Benjen also leave the obsidian blades at the Fist of the First Men for the Night’s Watch to find? Does he know what the Three-Eyed Raven was trying to teach Bran? Can he fill in the blanks? And will Benjen Stark and Coldhands truly turn out to be completely separate characters in the books, as is Martin’s prerogative? It wouldn’t be the first time Game of Thrones amalgamated characters on the show (see Gendry and Edric Storm), and as the two stories diverge, it’s entirely possible that Martin was telling his editor the truth.